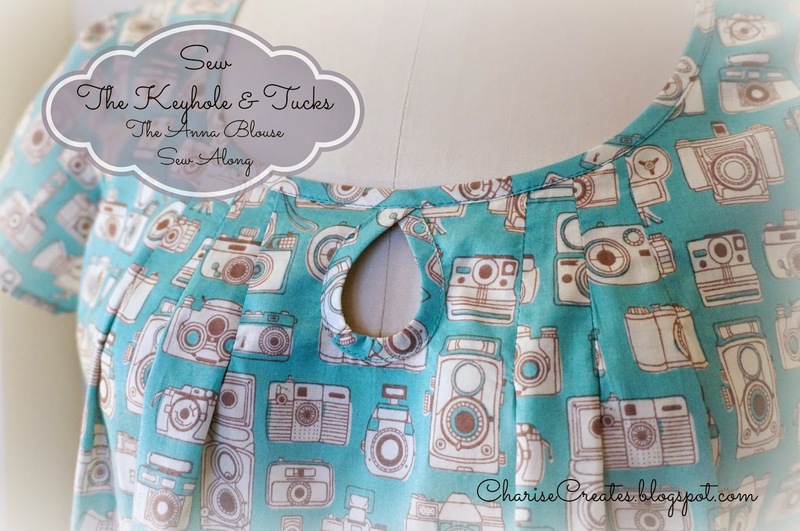 Today I will share a tutorial in pictures for Creating the Keyhole and Neckline Tucks on your Anna Blouse. This is the most difficult part of the blouse. 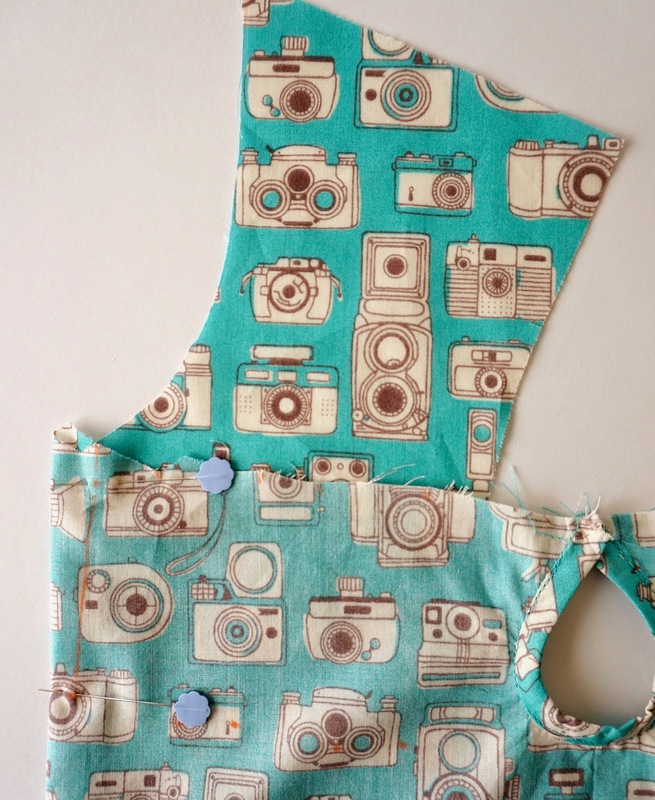 Once you get the keyhole sewn the rest is easy peasy! 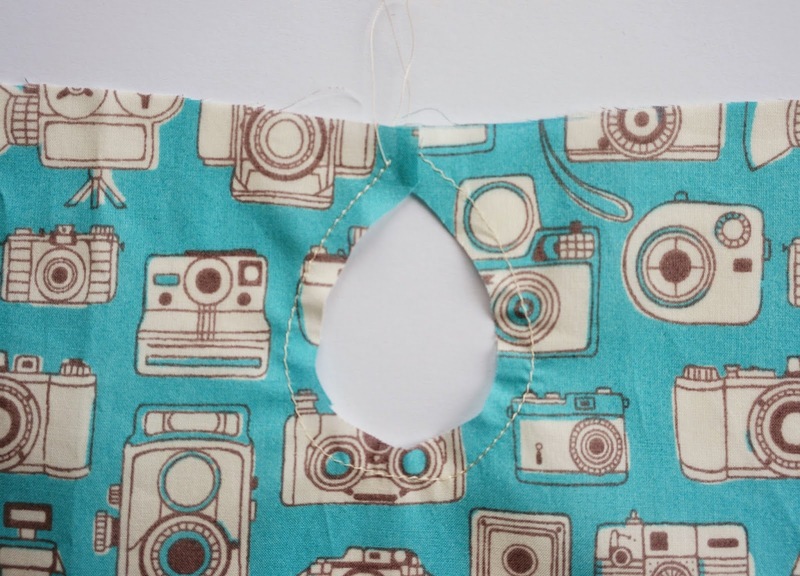 Be sure to Go slowly when stitching the binding to the keyhole and again when completing the final edge stitch. B. Fold the keyhole bias bindings strip in half wrong sides together along the long edge. Press. Match the long raw edge to the center crease and press. Repeat for the other edge. Press. 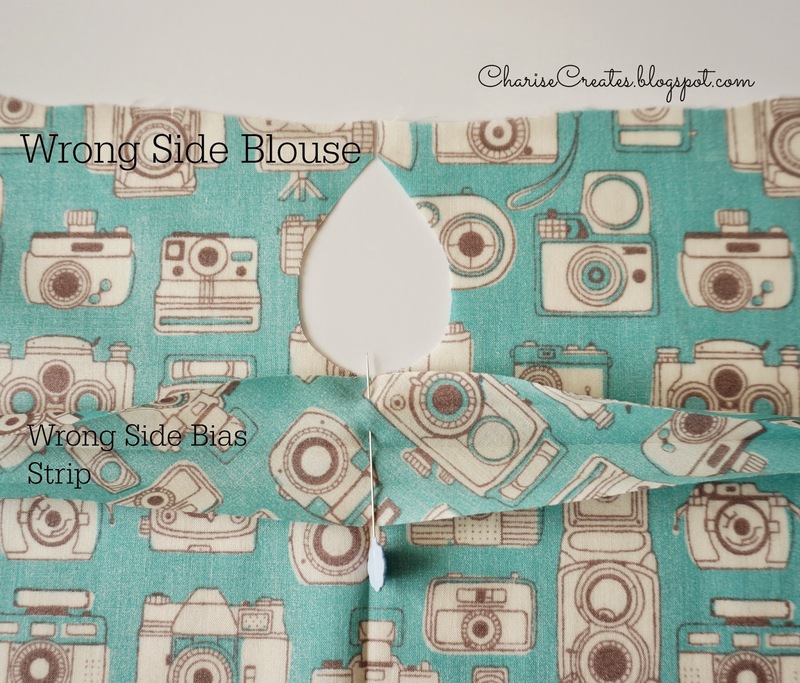 C. Place the bias binding strip right side to the wrong side of the keyhole. Match the Center Front notch on the bias trip to the Center Front at the bottom of the keyhole. Pin in place. D. Pin the top of the bias binding to the top of the keyhole on both sides. E. Pin around the keyhole easing the binding on to the keyhole edge. 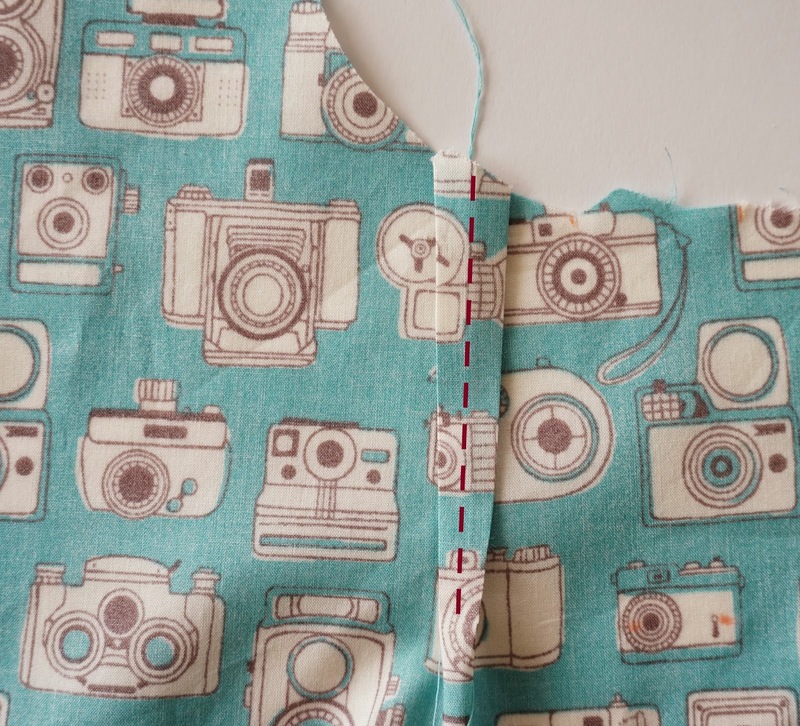 F. With the front blouse facing you (the bias strip will be on the bottom), stitch the bias binding to the keyhole with a 1/4" stitch. G. Fold the binding over to the right side encasing the seam allowance and folding under 1/4" on the crease. Pin in place being sure to cover the previous stitching. H. Edge stitch around the keyhole. Press. 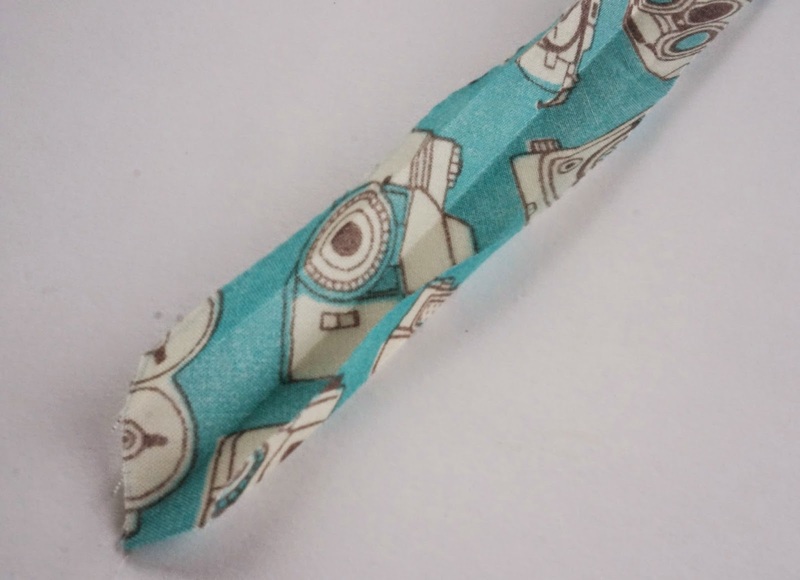 To Create the tucks you will match the top notches and the bottom dots, folding the fabric on the fold line, for each tuck. A. 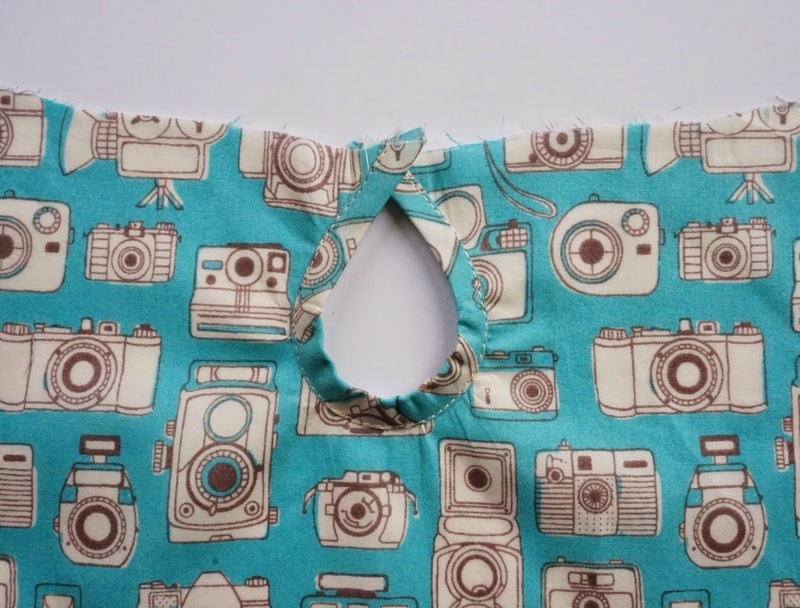 With the right sides together match the bottom dots and top notches on each tuck and fold in half on the fold line. Pin in place. C. Press the tuck flat, matching the fold to the center of the seam. Congrats! The hardest part is done! 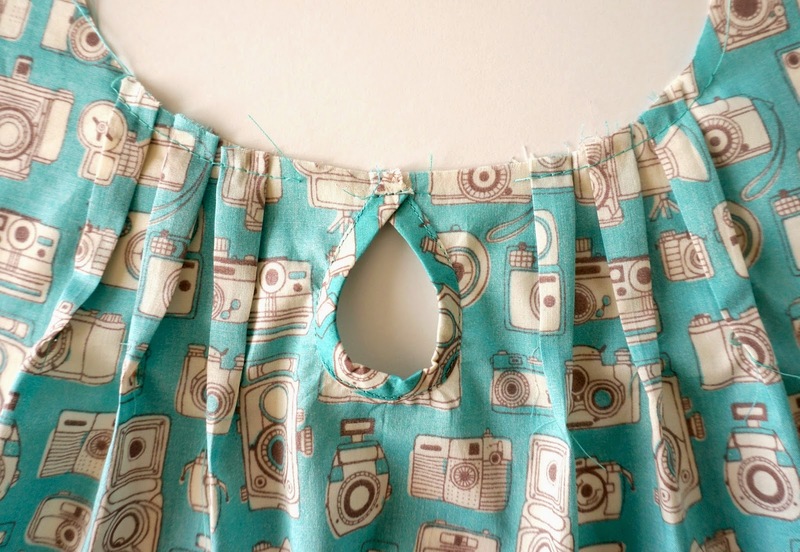 Join me on Sunday and I will show you how to sew French Seams! Nicely done! I've never done this before and I suddenly feel this is possible. Thank you so much! 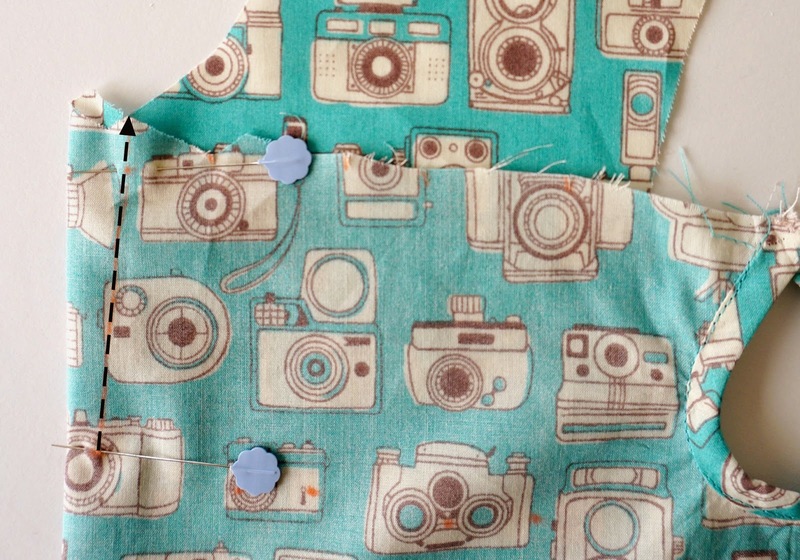 Ooh, I love this cameras fabric! Who makes it?